The distribution systems (DS) reconfiguration problem is formulated in this paper as a multi-objective mixed-integer linear programming (MILP) multi-period problem, enforcing that the obtained topology is radial in order to exploit several advantages those configurations offer. The effects of distributed generation (DG) and energy storage systems (ESS) are also investigated. To address the multi-objective problem, an improved implementation of the ε-constraint method (AUGMECON-2) is used, providing an adequate representation of the Pareto set. The objective functions considered stand for the minimization of active power losses and the minimization of switching operations. The proposed methodology is tested using a real system based on the S. Miguel Island, Azores, Portugal. 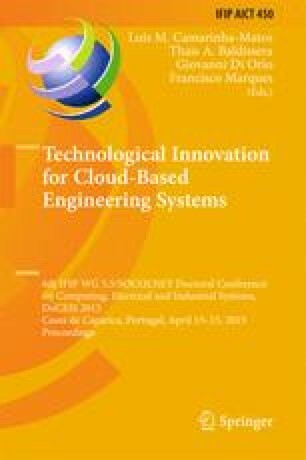 The potential uses of cloud-based engineering systems, both in terms of exploiting the enhanced decentralized computational opportunities they offer and of utilizing them in order to achieve communication and coordination between several entities that are engaged in DS, are thoroughly discussed.